We have always heard that bacteria can be harmful to our bodies, but did you know that our digestive system is loaded with bacteria? The bacteria break-down food and help regulate our immune system. Gram for gram we are more bacteria than human cells. In this modern age, good bacteria in our gut are under constant attack from chemicals and other pollutants. While we do need antibiotics to help fight the bad bacteria in our bodies, they take a toll on those helpful bacteria. This is why it is so important for us to look after the good bacteria in our gut. There are two easy ways we can protect the health of the good bacteria, with probiotics and prebiotics. We constantly hear about probiotics, which are live bacteria that are good for the health of our digestive system. They help move food through our gut. Prebiotics are less known but they have an important role in the health of our digestion. They serve as food for the probiotics and help boost the levels of the naturally occurring bacteria in our gut. The ability of honey to serve as a prebiotic has been examined in cell cultures and in mice. A research project funded by the National Honey Board found that Bifidobacteria cells, a strain of bacteria often found in the intestines, grew more rapidly when honey was added to their media. A 2006 article in “Complementary and Alternative Medicine” also found that feeding honey to mice increased the levels of healthy bacteria in their guts. “Honey enhances the bifidogenic effects that has several beneficial effects (i.e. detoxification and antigenotoxity).” The results suggest that honey has protective effects dependent on its antimicrobial properties. The prebiotic research conducted on mice have lead researchers to discover the benefits of honey on prebiotic health. Daily intake of honey can help your body nourish the probiotics that help maintain digestion and overall health in our bodies. 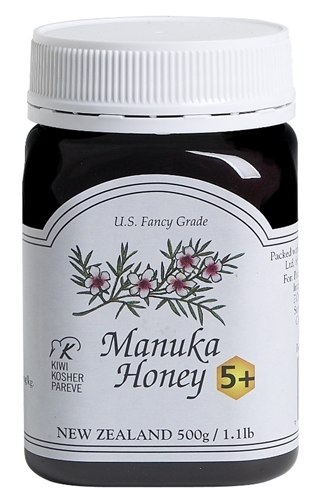 Manuka Honey has many health benefits for the body. It is one of the strongest prebiotic honeys containing special elements not found in any other honey. Just another reason to add Manuka Honey to our daily diet. Check out the new addition to our website, Dr. Ricketts AZ 2-12. A special time tested formula of probiotics and enzymes for your good health! WebMD, “What are Probiotics?” http://www.webmd.com/digestive-disorders/features/what-are-probiotics?